There's a reason investors aren't reacting more strongly to the trade war. Months ago, the market would swing wildly as trade tensions heightened. Now, new tariffs barely register in the Dow. That's because investors likely don't see escalations with China and US allies like Canada, the European Union and Mexico as a long-term threat, said Leo Grohowski, chief investment officer of BNY Mellon (BK) Wealth Management. 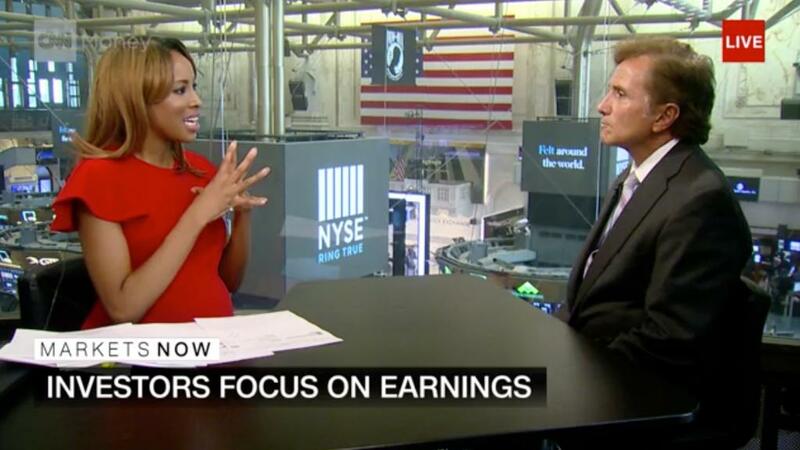 "The daily headlines — trade, tariffs, geopolitical issues — they're not unimportant, certainly not unimportant to daily performance," Grohowski told CNN anchor Zain Asher on "Markets Now" on Wednesday. "If we're really thinking about the next year or two or three, it's about earnings and interest rates." For now, he said, the trade war isn't expected to severely impact earnings or economic growth. As long as those remain unchanged, the markets won't react. But "when investors sense that risks are greater to things like earnings and GDP down the road, those are the days the market really struggles," he said. Some experts, like Allianz Chief Economic Adviser Mohamed El-Erian, think that the trade war could ultimately benefit the United States. But he thinks the Trump administration's aggressive approach is risky. Grohowski agrees. He told Asher that there is "clearly" a risk that the tariffs could eventually hurt the economy and companies' bottom lines. Recent guests include El-Erian, BlackRock (BLK)'s Rick Rieder, Stifel (SF) Chief Economist Lindsey Piegza and bitcoin bull Mike Novogratz.